Tagged Africa, environment, garbage, Lagos, LAWMA, MSW, Nigeria, Oyo, Recycling, Slums, Solid Waste Management, Solid Waste Management in Nigeria, solid wastes, Wastes. Bookmark the permalink. Nice piece of work ( info ) by Wale Bakare …..
Hello Wale, thanks for the awareness but I want you to realise that policy won’t change anything. Nigeria is good in designing policy statements but implementing them is another concern. Whilst there’re environmental policies in Nigeria (I don’t know of any one to be honest), there’s little or no waste management strategy (based on my experience with SEPA in three different states in Nigeria). In addition, generation of waste isn’t a problem but what do we do with that stagerring amount of refuse we produce every day. We need investments from government and private investors in this area. Waste Management sector is a multi-billion dollar sector that turn around the economy of Nigeria if we’re serious about it. 3.2 million tons of waste generated nationally, but 10,000 tons per day from Lagos? Interesting figures @Max. Can you give your reference to the stats posted above? 32 million/yr at the national aggregate and 10,000/day for Lagos which simply means Lagos generates an average of 3.65 million tons of solid waste annually. Nice write-up and submission. Meanwhile, it’s a collective responsibilities which includes individual citizens, government and stakeholders to ensure effective waste management practices in the country. Waste need to be properly managed from the generation phase to the last stage. Perhaps there should be a robust framework policy for best waste management practices in our regulation. Thanks Wale. You are doing a great job in Nigeria. I want to encourage you to press on. Am also doing awareness in Uganda most especially on plastic waste management. I would like to say that if you are are able to transform one person, it is already a plus and not a minus. If you press on, one day the story will be different. 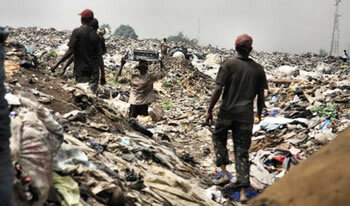 We can not afford to give up on the issue of waste management in developing countries especially in Africa. 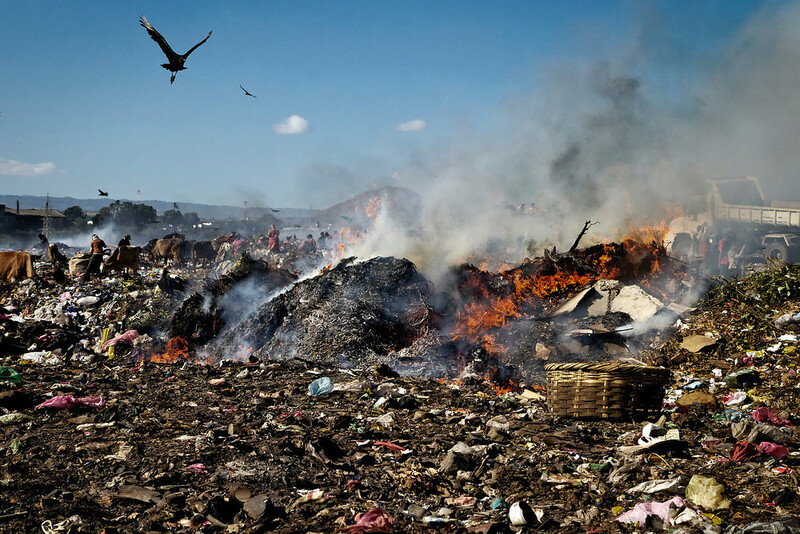 The common practices every where is haphazard dumping and burning of waste which must be prohibited at all costs. Please kindly target the young generation, i believe you will see great results.Thanks. Nice piece… Realistically, it’s rather unfortunate our government does not encourage small scale entrepreneurs in the sector. The amount required for registration with AEPB for instance is quite high for a small scale entrepreneur. If is subsidized, I believe it would reduce unemployment in the FCT. “The government at the federal level as a matter of urgency needs to revive its regulatory framework that will be attractive for private sectors to invest in waste collection, recycling and reusing.” I like this piece so much but then what are the strategies in reaching out to get the government getting them to see the importance of giving the private sector a hand in helping mitigate waste production in Nigeria. Believe me indiscriminate waste dumping and poor management have caused a whole lot of harm but to the masses and the environment inclusive. How can we get the government to see the vast economical vantages embedded in waste management( recycling, reuse, reduce). This was a lovely piece by the way. What are the sources of these numbers you are throwing around, the data is captivating but its not reliable because it is not backed by any authority. Nice job but you can do better.